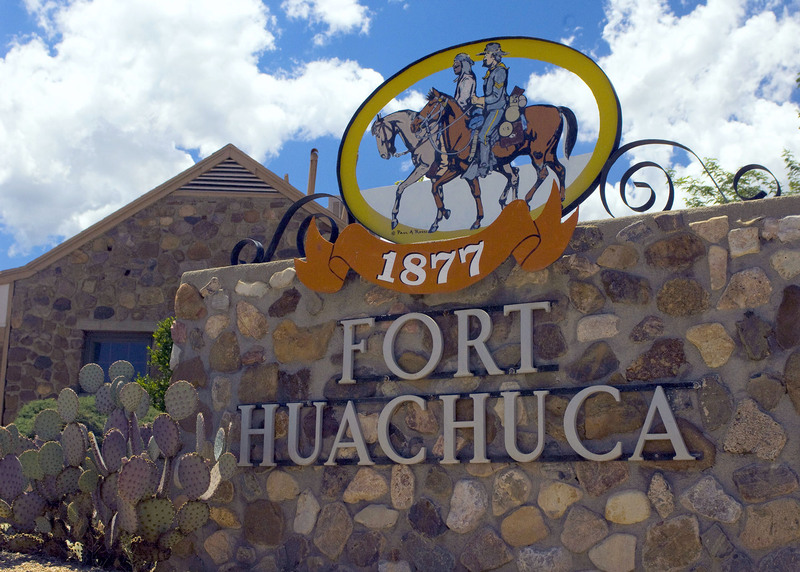 WASHINGTON – A trio of federal agencies announced this week that Fort Huachuca will be part of a program aimed at preventing land development around bases, to aid military operations while protecting vulnerable environments. The Sentinel Landscapes Partnership would protect ranch land, water sources and endangered species from land development, creating a buffer around the base that protects it from operational interference as well as competition for groundwater. The partnership of state and private agencies and the Agriculture, Defense and Interior departments said the deal would prevent the drilling of more than 1,000 groundwater wells that could negatively affect the San Pedro River. Threats to the San Pedro have been the subject of multiple environmental lawsuits, and the plaintiff in at least one of those suits said he would be “extremely skeptical” of any conservation efforts the partnership attempts for the river or the lands around it. Defense Department spokesman Mark Wright said that while environmental protection is a “fortunate happenstance” of Sentinel Landscapes, the Pentagon’s main focus is on creating a safe “buffer zone” around the base to protect the safety and effectiveness of military training operations. “We don’t want our test missions to end up in the parking lot of a 7-Eleven built on the edge of our base,” Wright said. “Our intended purpose is to protect our bases from encroachment,” he said, explaining that biodiversity is not part of the department’s charge. About $5 million of the $16 million Fort Huachuca project would come from the Defense Department’s Readiness and Environmental Protection Integration program, which has created buffer areas for other bases as well. Other funding includes $4.5 million from landowner donations, $3 million from a USDA conservation service, $2.9 million from the Arizona Department of Emergency and Military Affairs and lesser sums of money from the Forest Service, the Arizona Land and Water Trust and the National Fish and Wildlife Foundation. 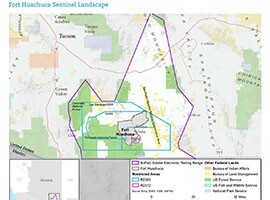 Those agencies will work with the Arizona Land and Water Trust, which has taken the lead on organizing partners and funding for the Sentinel Landscapes program, said a Fish and Wildlife Service spokesman. 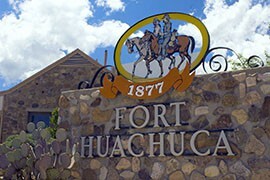 Fort Huachuca spokeswoman Angela Camara said that the protection of buffer lands could come in different ways, from buying land outright to “conservation easements” under which ranchers agree not to sell their land to anyone interested in creating large water-draining developments. The first Sentinel Landscape partnership began in 2013 at Joint Base Lewis-McChord in Washington state. The two new projects announced Wednesday, at Fort Huachuca and at the Naval Air Station Patuxent River-Atlantic Test Ranges in Maryland, will be the second and third in the nation. 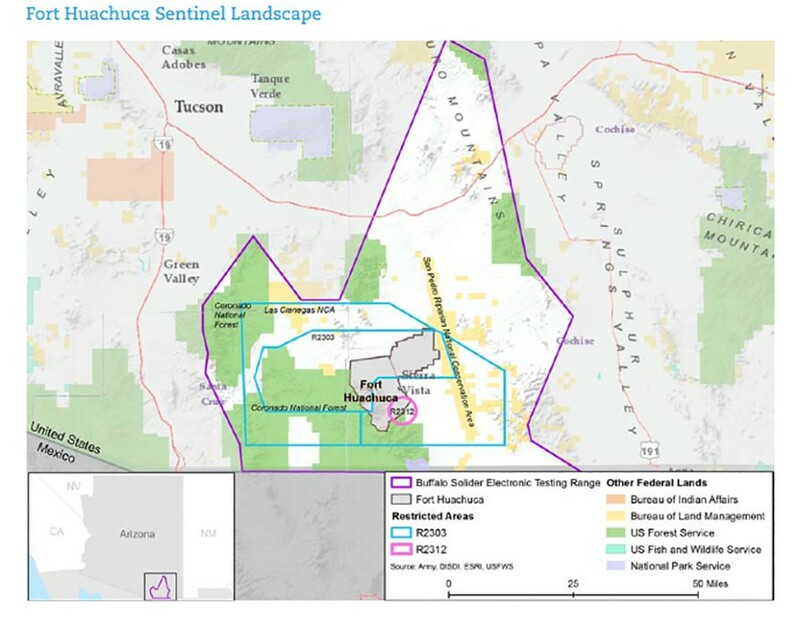 Defense Department officials said national security has to be the primary goal of the developemt buffer around Fort Huachuca, that environmental protection is a "fortunate happenstance." Supporters say the development buffer that would be created under the Sentinel Landscapes program would help protect the San Pedro River.